Can You Make a Pumpkin Roll With a Cake Mix? How Many Calories Are In a Chicken & Avocado Sandwich? 2 Can You Make a Pumpkin Roll With a Cake Mix? 3 How Many Calories Are In a Chicken & Avocado Sandwich? Whether you are purchasing a ready-made cheese roll or making your own, the amount of calories you ingest will vary considerably depending on the type of cheese and the bread you choose. A medium white, French-bread style roll weighing 1 oz. contains 105 calories. A 1 oz. wheat roll contains 101 calories but has 2 g of dietary fiber more than the white roll. 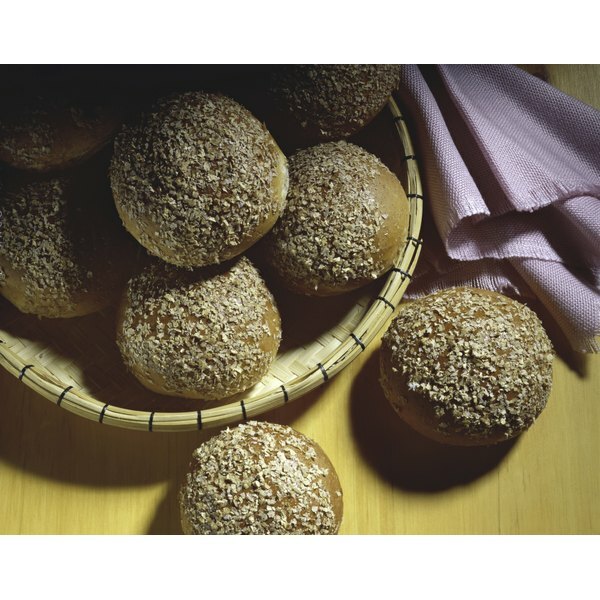 A rye bread roll would contain approximately 2 g of fiber. High-fiber breads can aid weight loss as they keep you feeling satisfied for longer. Low-fat cheese is lower in calories than full-fat cheeses. A 1-oz. slice of Cheddar cheese provides 114 calories, but 1-oz. of low-fat Cheddar contains 48 calories. One ounce of American cheese has 105 calories; whereas the low-fat variety has 51 calories. Cream cheese contains slightly less calories; it provides 99 calories per ounce. A large white roll made with three 1 oz. slices of Cheddar cheese contains 578 calories. A medium-size roll with two slices of low-fat American cheese will contain 207 calories. A medium whole-wheat roll with two ounces of regular Cheddar has 329 calories. 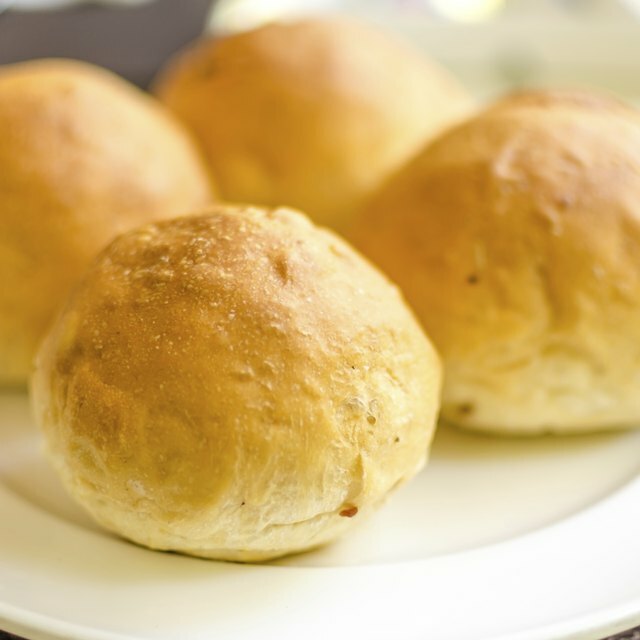 If you use butter on your roll you should calculate around 20 calories extra for each pat.